At Get Cross Fit we recognise that the world is full of diversity and culture and that similarly people’s body’s composition is vast. No two people are the same and critically no two training programs should be the same. What works for one individual may not work for the other. When you sign up to Personal Training at Get Cross Fit, rest assure that you will receive bespoke programming, both in nutrition and physical training. Dependant on goals (these are set out in the initial consultation phase) you and your trainer can create a program that could contain anything from injury rehabilitation, hypertrophy or sport specific performance enhancement. Training with a Get X Fit PT will be challenging at times, but as with all things worth doing a little sacrifice may be called for. We recommend to maximise your investment both monetarily and time wise to train around 3 times per week. Whilst we appreciate in the working world things can be unpredictable we would champion your own training set out by your trainer to be completed if this isn’t viable. With commitment to training guaranteed from your Get Cross Fit PT, we encourage you to do the same. Together we will be able to deliver on those goals set out on day 1. If you have decided that Personal Training is the thing for you, you need to ensure that where you spend your money and the advice you get is correct. 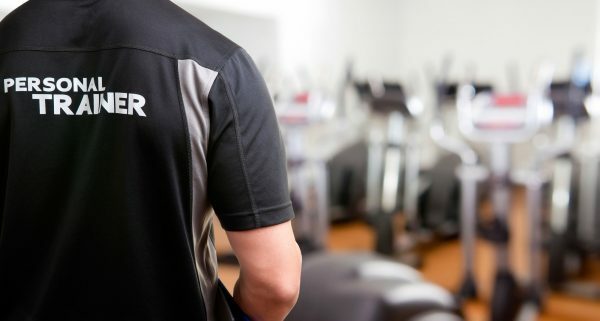 It’s a popular industry to work in, however there are many inexperienced PT’s out there. There is no truer saying that if you buy cheap you buy twice. 2x a week is maintenance to slow progress. Choice is a very powerful tool at the disposal of everyone. We make choices in our day to day lives, sometimes for the better and sometimes for the worse. In the Fitness and Wellbeing industry we are littered with armchair critics along with people’s suggestions and opinions. At Get Cross Fit we understand that making the correct choice is not always an easy one to make. That is why at the centre of our core values, we believe in telling the truth, not sugar coating things or trying to stay on trend. Keeping things simple and using proven training techniques that have been used by elite level athletes for decades to get the results is what we do! There is a different between interest and commitment. When you have interested doing something, you do it only when its convenient. When you are commited to something, You except no excuises; Only results.